Playa El Tunco is the most popular destination in the area of La Libertad, located 30 kilometers west from the international airport of El Salvador, its popularity grown in the last five years after being the main surf destination of the country, it waves Sunzal and Bocana offer one of the most consistence surf and perfect conditions for all levels of surfers including beginners interested to learn to surf. The small village is popular too for its bars, restaurants and a great young backpacker travelers enviroments and a great place for live music and party during the weekends. Other accommodation in this location:. Tree house studio with livingroom, bedroom with a king bed and a single bed, private bathroom river and ocean view, big swimmigpool,, gardens lounge areas with wifi internet and privacy in Playa El Tunco. Confortable one room apartment with two beds, a sofa bed, private bathroom and livingroom with cable tv, fridge and coffe machine, also with a private terrace with hammocks and ocean view. Cozy suite/apartments available, this amazing hotel offer five confortable suites totally equipped with air conditioner, cable tv, fridge, oven, private bathrooms, suites with three beds and one suite just with one double bed for couples, the hotel offer meal service, swimmingpool, wifi internet and close access to the beach, located just 80 meters away from the popular beach of Playa El Tunco. 50% deposit is required in advance by paypal, bank account transfers or wester union deposit. please contact us to check avialability and get a quote, rates can change according with number of guest. 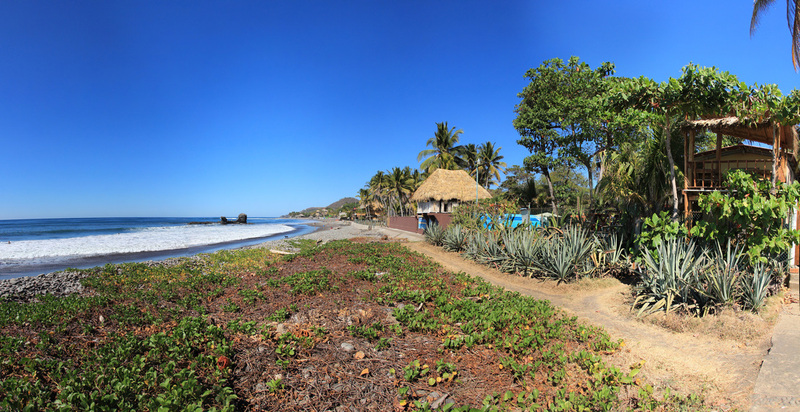 Surf schools and instructors available, playa El Tunco is one of the most popular places to learn how to surf, the waves and conditions are perfect for all levels including beginners. just 20 minutes away from the beach, a amazing hiking in the middle of the tropical forest to the waterfalls of Tamanique. Surf and travel! La Libertad like the disney land of all surfers, enjoy the different surf spots guided by the local crew.